SeaWorld Orlando is busy bringing the fastest, tallest and longest roller coaster in Central Florida to life with Mako. The new coaster is expected to open in summer of 2016, and work is moving along slowly, as crews get all footers and pieces in place. 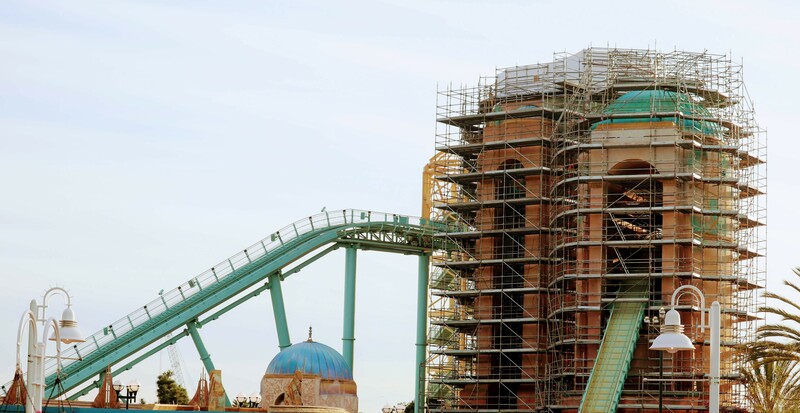 The back half of the park is also undergoing some massive work, as the coaster is taking up a huge portion of the park, and will also transform the sharks area into an all new realm, where sharks prowl and roam. 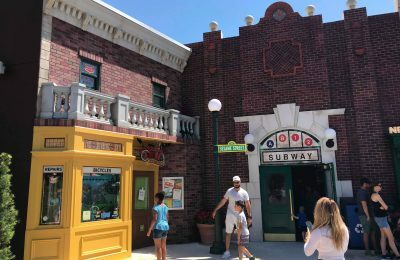 We take a look at the latest updates around the park, and some of the newest happenings. 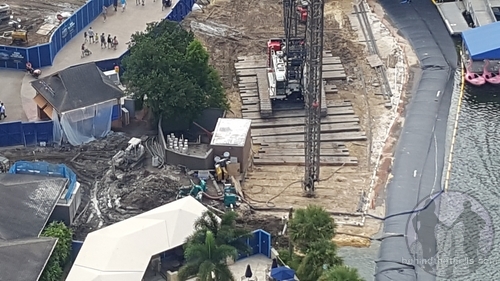 The construction has stretched from the edge of the park, near Journey to Atlantis, all the way to other side of the park, where a massive crane is set up near the Flamingo boats. While track has arrived on site, no track has gone vertical just yet. The park is still busy pouring footers, which will anchor the coaster to the ground. We took a video walk around the construction site, and took to the air for a look at what’s happening. 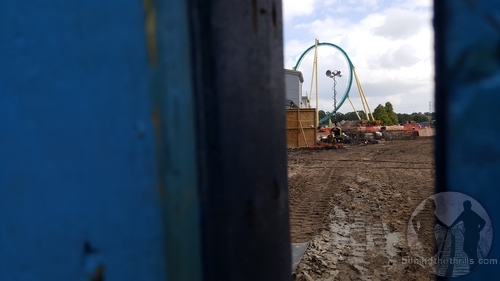 Video-Walk around the construction site of Mako! While construction seems to be moving along at a snails pace, it actually is progressing fairly rapidly, with the track sections taking up almost a mile. 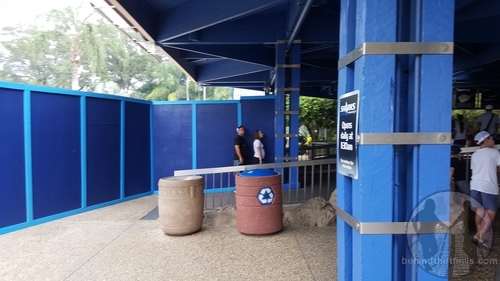 The construction has had to take over one of the gift shops at SeaWorld, and looks like it might be taking up even more area before it’s all said and done. 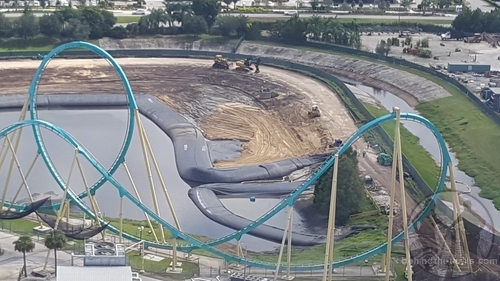 The park has filled in part of their drainage lake, and is continuing to pour concrete footers. Once the footers are in, and have settled, construction will progress rapidly, with steel flying up. Vertical construction is expected to begin sometime in late November, early December. Meanwhile, work has begun around the Shark Encounter attraction, which will be incorporated into the final Shark Realm attraction. Guests will be able to slink around a shipwreck, and see different species of sharks. 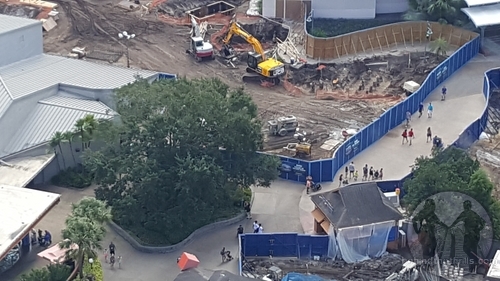 The new construction takes walls right up to the former attraction. The official 50th anniversary celebration at SeaWorld has ended, and with it the closing of the 50th anniversary store. There’s no word on exactly what will be happening with this new construction, but we are told it’s not going to be reopened as just a gift shop. 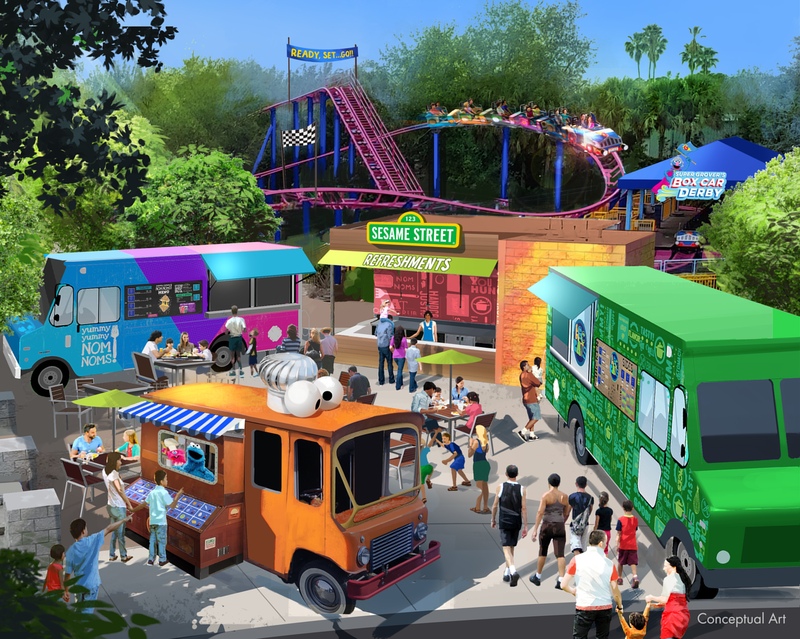 SeaWorld is undergoing a huge transition as a company, and SeaWorld Orlando is trying to find it’s place in an ever growing area that includes huge properties like Star Wars, King Kong and Harry Potter. We don’t think Mako is the last of the construction that we’ll see in the next few years, and we should hear something big in November, as SeaWorld is expected to make a huge announcement about the future of the company. 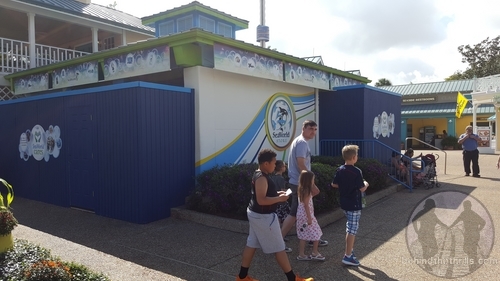 Previous PostShamu and Crew roll out with new characters at SeaWorld Orlando Next PostTrailer hits for JAWS 19 and Pepsi Perfect-The Future is Here!